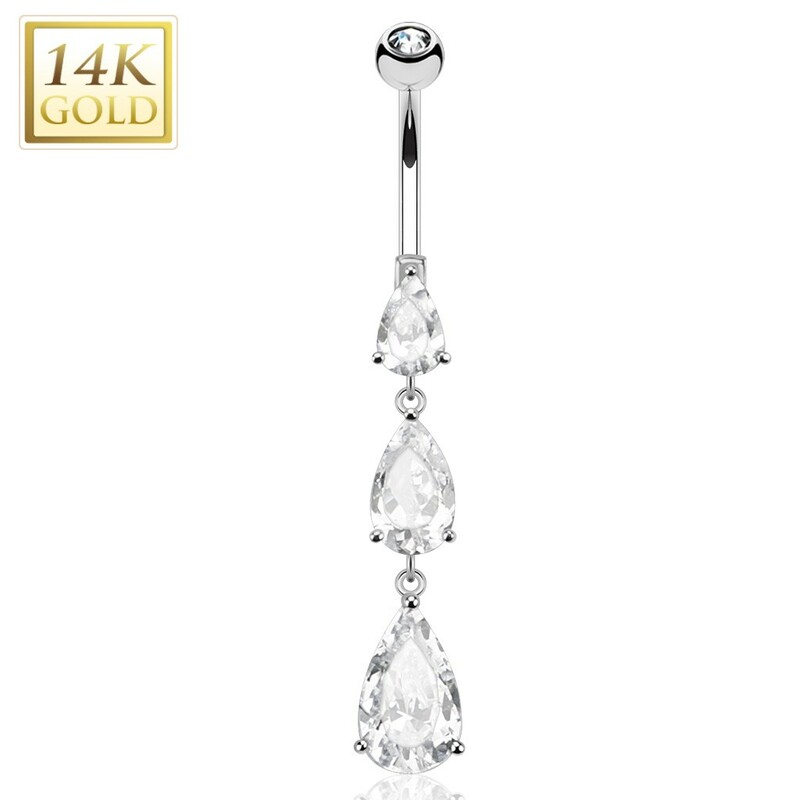 This belly button piercing is made of 14 Kt. solid white gold giving it that luxuries look. 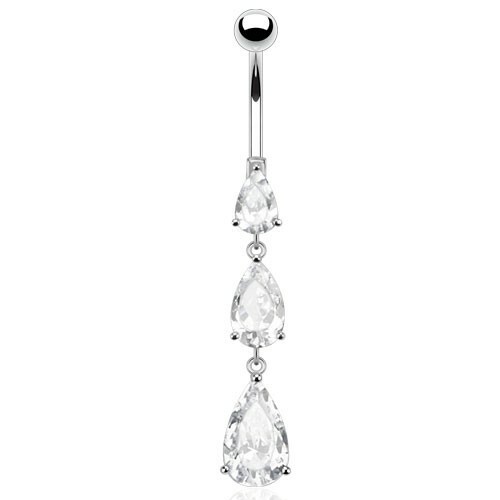 The lower ball carries a crystal prong droplet that runs seamlessly on into the dangle itself. 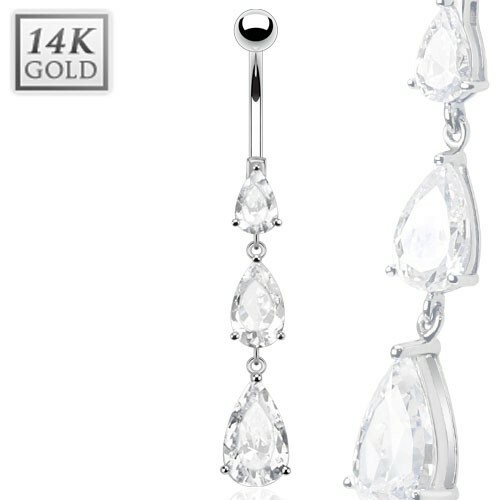 The dangle consists of two more crystal droplets ascending in size. All these crystal droplets are hold in place by three places allowing the crystals to catch as much light as possible creating a very strong glimmer.